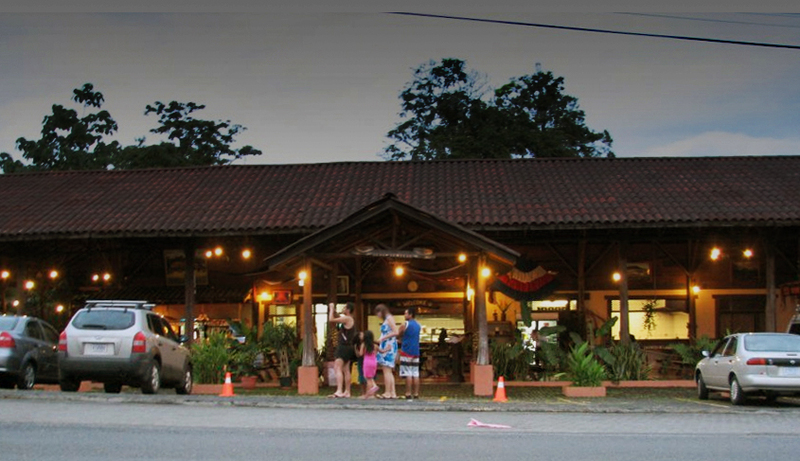 Located just two blocks away from La Fortuna downtown, La Choza de Laurel become the best option, considering location and quality, for visitors that want to enjoy typical and international dishes with high level. We stand out for having spacious installations with a rustic design that tries to represent the buildings that Costa Ricans constructed a long time ago, where the high ceilings and the open spaces were very important to keep freshness. One of the most popular dishes is the “Volcano Rice” in honor to the Arenal Volcano. This is a delicious combination of rice, different kinds of meat and vegetables, presented in a unique and unforgettable way. We also offer a souvenir shop where our visitor can find from real Costa Rican coffee to handicrafts made by artisans of the town. This restaurant can receive an amount of 170 persons and it has a parking lot for 25 cars or buses.